Life brings many memorable moments, like celebrating a hard-earned achievement, capturing a photo of a joyous family reunion, or finally getting that jersey autographed by your all-time favorite football player. These times spent with family, friends, and loved ones should be remembered and cherished for years to come, not forgotten in a drawer, collecting dust. As experts in custom framing in Boca Raton, Rosenbaum Framing understands the importance of preserving your most valuable possessions and cherished memories. That’s why we use only the finest quality materials and careful craftsmanship to deliver a quality product that you’ll love for a lifetime. Custom framing with Rosenbaum Framing allows you to personalize your memories with a unique style that best suits your home, office, and décor preferences. Sure, you could go to a big box store and purchase a standard size frame, and it can match the same frame in thousands of other homes. Or, you can treasure your most important possessions with custom framing in Boca Raton that matches your personalized home decor, and helps them stand out with unmatched style and elegance. The list of what we frame is virtually endless: we specialize in framing art, wedding photos and announcements, diplomas, family photos, ketubahs, scarves, sports jerseys, maps, posters, certificates and so much more. Our vast selection of mouldings ranges from traditional to contemporary and everything in between. These extensive options enable us to create the ideal design to complement any item or decor. So, whether you’re redecorating your home, preserving a family heirloom, preparing to hang your professional certificate, or mounting a masterpiece, our design consultants can guide you towards the perfect framing solution. There are many aspects that go into bringing your photos to life, so leave it to the experts. We’ve been framing our clients’ most treasured possessions for nearly 40 years, so our team has intimate knowledge of the ideal colors, styles, and sizes that will help your art stand out. The experienced staff at Rosembaum Framing in Boca Raton can help you select the perfect mats and glass to complement and properly preserve your items. We’ll recommend many creative framing options to display your item at its best, including custom-cut mats in a variety of shapes including letters, hearts and more; fabric-wrapped mats to add texture and color; and fillets and liners to accentuate details or add a more decorative touch. We offer a variety of conservation materials including acid-free archival matting and UV-protection glass to ensure that your item can be displayed and enjoyed for years to come. Our expert staff can guide you to the perfect solution based on your budget, where your item will hang, and the elements that are likely to affect it. Our complementary framing design services ensure you end up with a perfect frame. You’ll also leave our facility knowing exactly when your project will be complete and how much it will cost. If preserving your memories is important to you, it’s important to us. 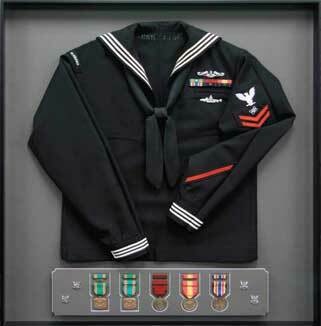 Our custom framing services are built to last a lifetime. For quality, custom framing in Boca Raton, call Rosenbaum Framing today!